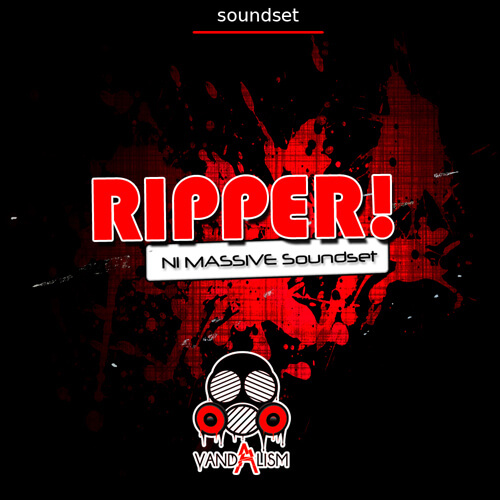 ‘Ripper!‘ from Vandalism is an amazing and up-to-date soundset for Native Instruments Massive. This comprehensive product provides you 64 Massive presets suitable for the most popular music genres, such as Electro, Progressive, and Melbourne Bounce. If you are looking for totally fresh and powerful basses for your drops, this soundset is just for you. ‘Ripper!’ is a mix of totally fresh sounds for NI Massive. Vandalism provides you 64 perfectly designed presets, all with macro control like cutoff, envelope decay, effect amp or reverb. If you need sounds you haven’t heard anywhere, this pack is definitely for you!